Beginning this season, sports data providers Genius Sports and Sportradar — two companies that have worked closely with the NBA and already provide other data to U.S. and international sportsbooks — will have the non-exclusive rights to distribute official NBA and WNBA betting data. The NBA says the value of the official data feed lies in its reliability and transmission speed, which is critical for the growth of live in-game betting, in which odds are offered for wagering throughout a contest. Bookmakers in the United Kingdom say that more money is bet during a match than before it, and the popularity of live betting is growing in the U.S., too. The NBA has allowed its official data to be distributed to bookmakers in international jurisdictions where sports betting is legal, but not in the U.S. until now. In May, the U.S. Supreme Court struck down the Professional and Amateur Sports Protection Act of 1992, the federal statute that had restricted state-sponsored sports betting to primarily Nevada. 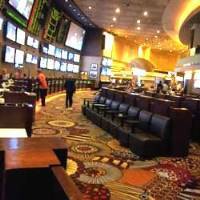 Since the ruling, legal sportsbooks have opened in Delaware, Mississippi, New Mexico, New Jersey, Pennsylvania, Rhode Island, and West Virginia. In June, the NBA signed a partnership with MGM Resorts, making the sports betting operator the official gaming partner of the league. As part of the partnership, MGM will get access to the NBA’s official data feed. NBA vice president and head of fantasy and gaming Scott Kaufman-Ross said that while Genius Sports and Sportradar will be the first distributors of official NBA betting data, they might not be the last as other distributors may be brought on depending how things turn out.